• Athletic/Low Profile Fit Reduces Chances Of Extra Fabric Snagging On Branches, ETC. 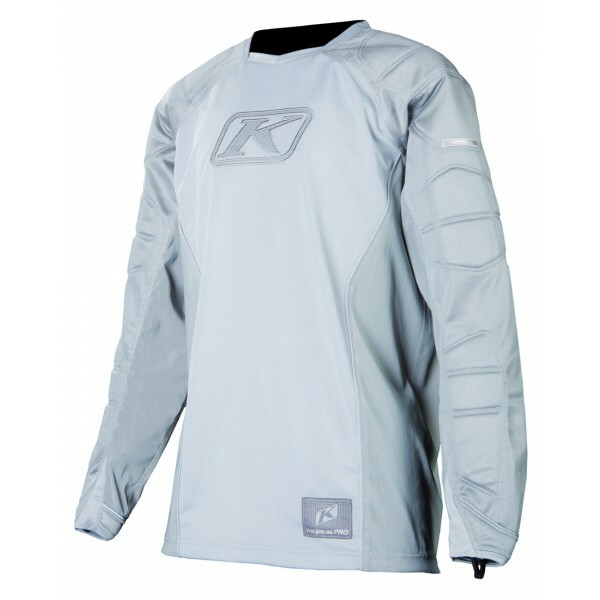 Klim Mojave Pro Jersey is just what you need for all your off-road adventures with its impressive snag and tear resistant material. Everything about this jersey is designed to protect you from branches and trail whacks from the heavier mesh, and padding in the side arm, elbow/forearm, top forearm/cuff, to the Stretch zones that let the jersey fit over protective equipment without limiting movement. The highly breathable mesh helps regulate body temperature, and the stretch cuff with optional thumb loops helps to hold the jersey over gloves and cover your writs. This is a must have for all your off-road trips.